A Betsy Ross magnetic finger puppet! 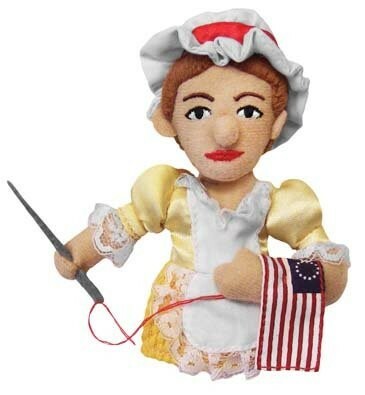 On your finger, she's a puppet; on your fridge, she's a magnet; in your finger puppet collection she's an American legend! Approximately 4" tall. For more of these magnetic finger puppets, visit our collection of products from the Unemployed Philosophers Guild.